Planning to buy a bike? Well, the right sized bike is THE most important thing to maximize your performance, enjoyment, and to also ensure you stay injury free. This bike sizing guide should help you zero in on the right sized bike to enjoy the amazing benefits of Cycling. Generally, there are different types of bike and each of them offers different riding positions to serve specific riding experiences and purpose. Performance road bikes will have an aerodynamic riding position tuned for speed and efficiency vis-a-vis an endurance road bike will have a more upright position to balance comfort alongside speed. To measure your height, stand against a wall and mark the wall with a pencil so it’s level with the top of your head. Then measure from the ground up to the mark. Having someone assist you makes this a lot easier and a lot more accurate. 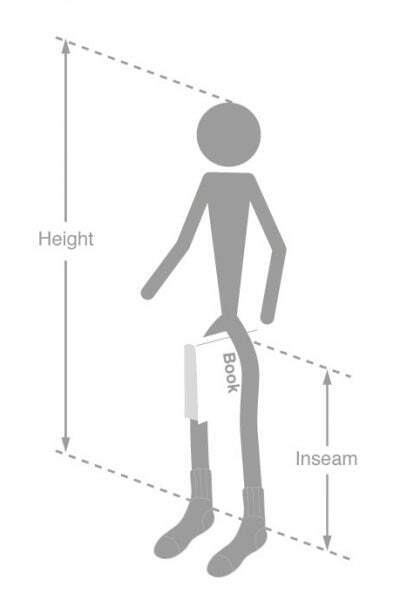 For your inseam/inner leg measurement, stand against a wall and using a book, hold it in between your legs into your groin and make sure it’s flat against the wall. Measure the height from the book to the floor. These 2 measurements are typically sufficient to match brand specific size charts to help you arrive at a specific frame size, recommended by the brand. In some rare scenarios – if your height and inseam leg measurements put you in-between two sizes, your upper body length would be the deciding factor in selecting the best size bike for you. Your upper body dimensions determine the ‘Reach’ and this affects how ‘stretched-out’ you will be along the top tube of your bike as you ride it. To work out if you have a long or short reach, you need to determine your ‘APE INDEX‘ which is nothing but arm span minus height. 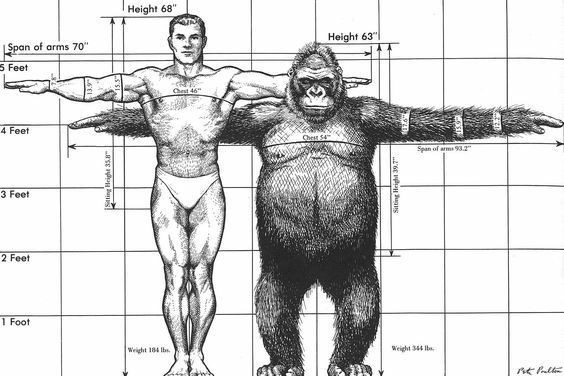 A positive Ape Index (arm span > height), then we suggest you go for the larger bike sizes. psst – Arm Span is the distance between the tips of middle fingers of both arms outstretched at right angles to the body, measured across your back. Much easier if you have a friend do this for you. Bikes are generally measured by their Seat Tube (tube into which the seat post slides into) length. 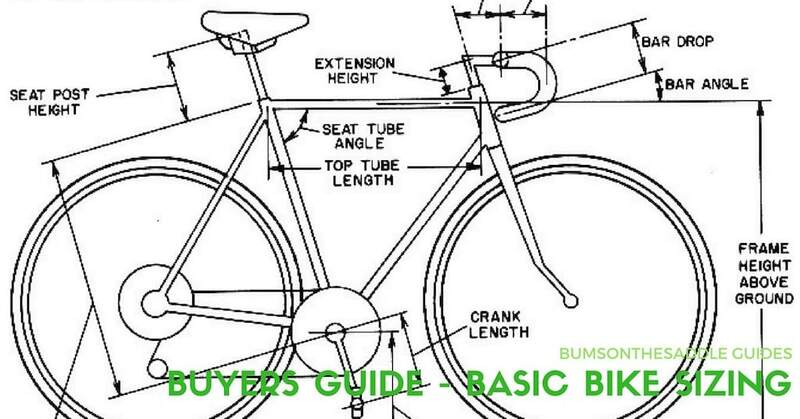 There are multiple ways in which brands measure this – but the most common one is from the center of the bottom bracket to the end of the seat tube as shown in the image. Mountain bikes are typically measured in inches or T-Shirt sizes (Small, Medium, Large), Road Bikes are measured in centimeters and Hybrid Bikes in T-Shirt sizes (Small, Medium, Large). All depends on the manufacturer though. We recommend you download the latest sizing chart from the brand directly and map your height to their sizing chart to decide on a frame size. Standover height is an important measurement – especially for mountain biking. We often jump onto the top tube (the horizontal tube in front of us) as we hit a root or a tricky technical section. Having some clearance prevents us from injuring ourselves. This is not as important in a hybrid of road bicycles. You can measure your inseam length and map this against the geometries maintained by the brand per bicycle model. You can also simply stand over a bike with the top tube straddled between your legs and lift the bike until it touches your groin to measure the clearance. Ideally the clearance should not be less than 1 inch.